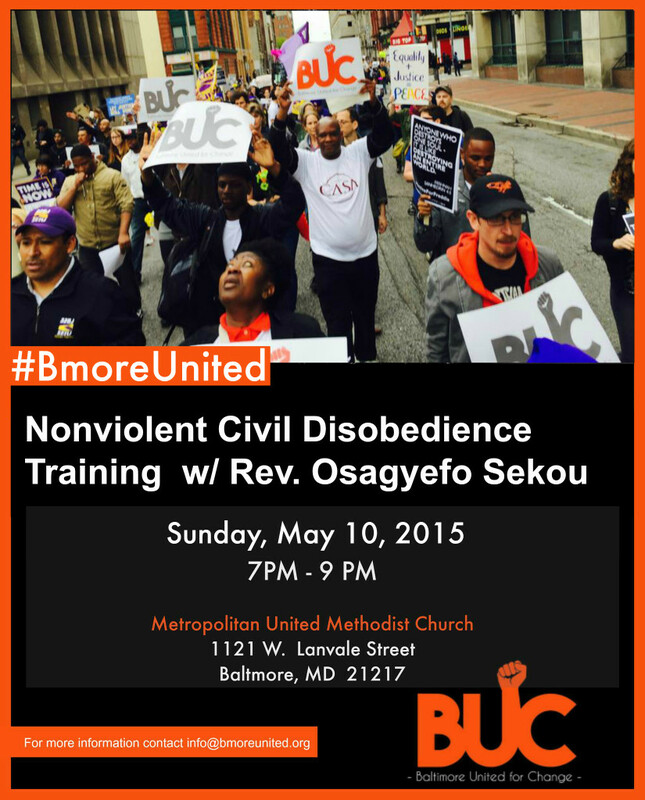 The Baltimore United for Change coalition would like to formally extend an invitation for you to participate in a non-violent civil disobedience training. 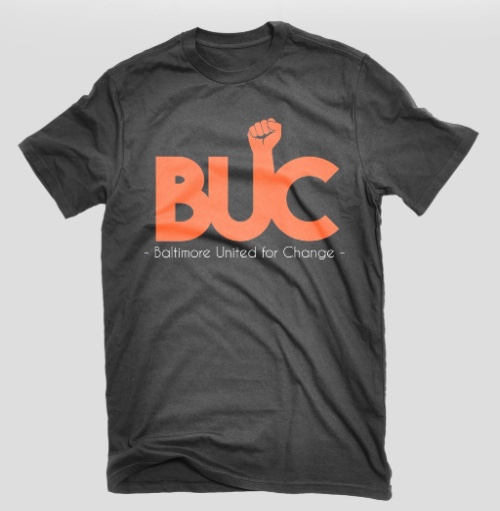 The goal of the training is to learn and understand the historical and philosophical implications and meaning of non-violent protest and how we can gather to forge a new moral world forward. We are sure this training will enlighten and ignite moral and righteous indignation against systemic oppression and suppression through the prophetic and profound teaching of the Rev. Osagyefo Sekou.